Even though I love vintage, I'm not typically attracted to things that look too vintage-ey. 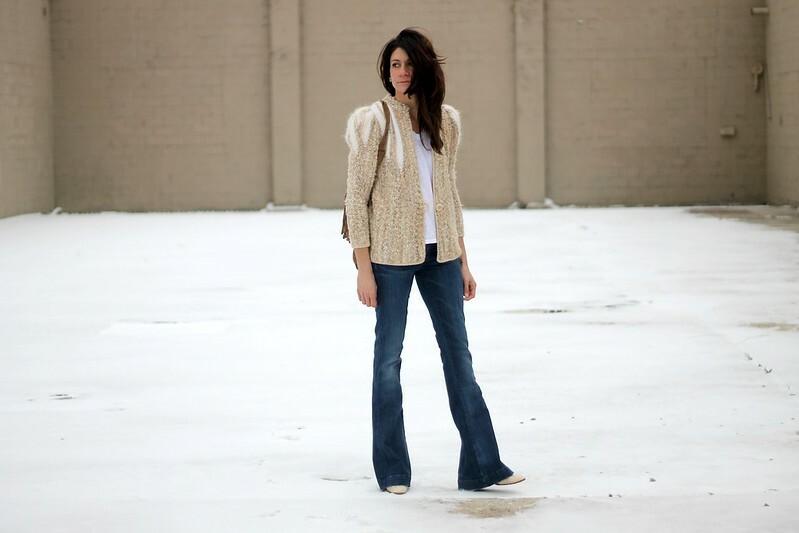 I love finding original pieces and modernizing vintage. This sweater, although it definitely looks vintage, I adore! What really got me was the exaggerated angora shoulders. It's always about the details my loves! This entry was posted on Sunday, January 11, 2015 and is filed under brown,white. You can follow any responses to this entry through the RSS 2.0. You can leave a response. You're right - the details! Fabulous jacket. Thanks for sharing with Visible Monday, xo. 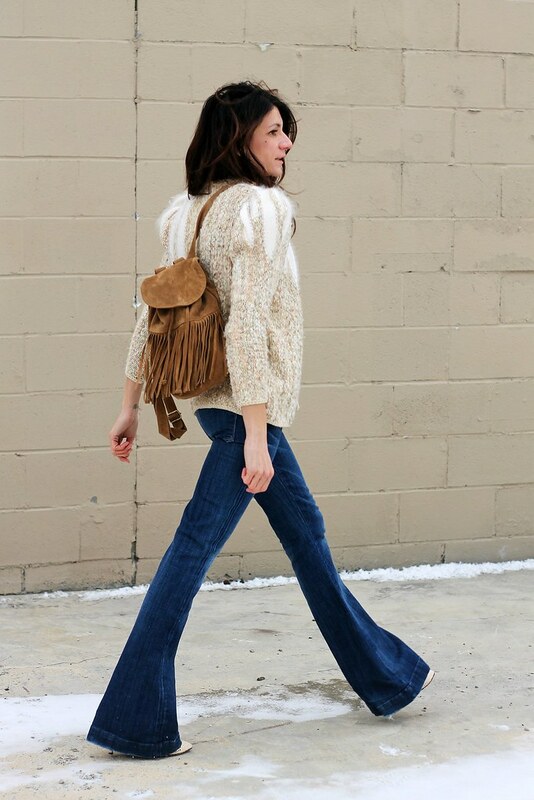 Love the bell bottoms too! I love that you paired it with a fringe backpack! Great look! Such a wonderful outfits. My favorite color is brown, and I am in love with this brown pants <3 <3 <3 The models are awesome!